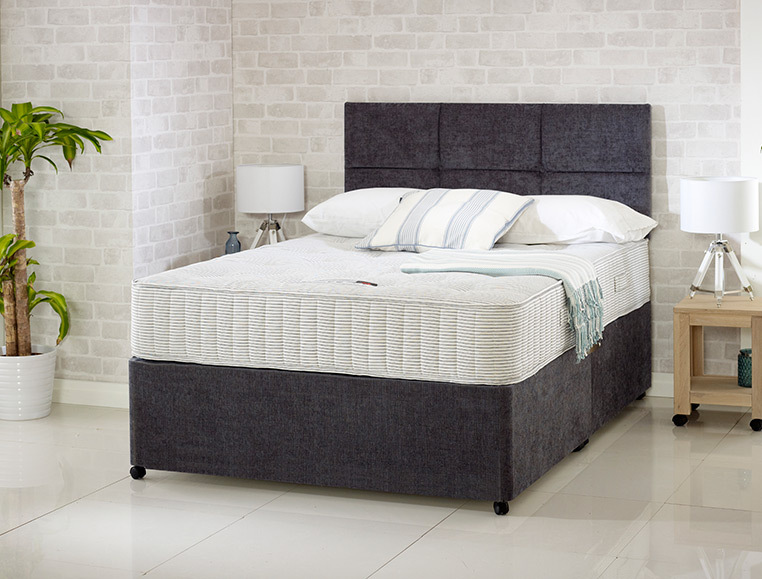 The Seville full divan features a 1500 pocket sprung mattress, the individual sleep zones provided by the pocket springs guarantee a comfortable night’s sleep. It contains multiple layers of high grade fillings to support the spring and give a feeling of luxury that will ensure your guest’s have a good night’s sleep. It is available as a mattress only or as a full divan bed with a host of base options to enable you to blend it with other soft furnishings within the room seamlessly.